Thoughts: They either control you, or you control them. But how? 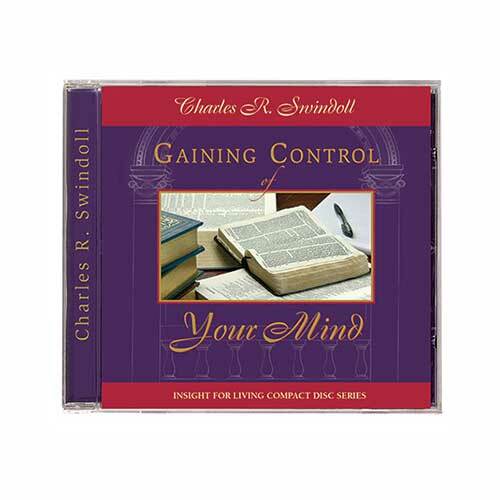 In these two messages, Chuck Swindoll offers biblical and practical guidance for how we can utilize the single, most-powerful weapon God has provided to help us control our minds. Copyright © 1979, ℗ 2008 by Charles R. Swindoll, Inc. All rights are reserved worldwide. “Holy, Holy, Holy” Copyright © ℗ 2007 by Stonebriar Community Church. Performed by the Stonebriar Community Church choir and orchestra. All rights reserved worldwide. Used by permission.